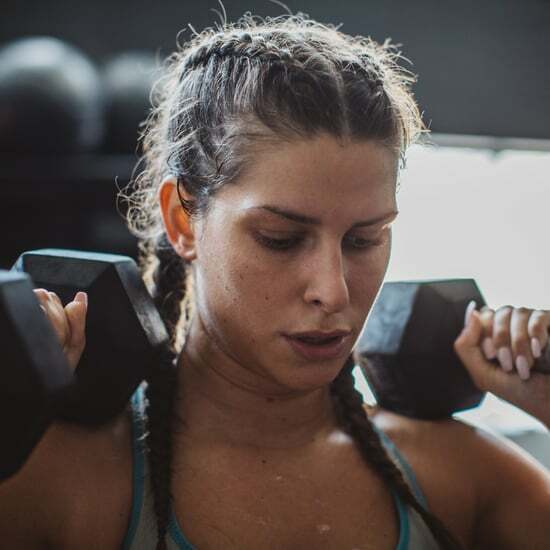 We all want to make the most of our workout time and prevent injury, so we asked Jillian Michaels, author of the upcoming The 6 Keys: Unlock Your Genetic Potential For Ageless Strength, Health, and Beauty, the biggest mistake people make in the gym. "Hideous form," she told POPSUGAR at an event for AquaHydrate to celebrate the launch of their partnership with the Breast Cancer Research Foundation (BCRF). "One: that's totally ineffective. Two: you're probably going to get hurt." To develop proper form, Jillian suggests hiring a personal trainer for a session to take you through the exercise. If a one-on-one session isn't possible, looking to the internet can be an easy way to check the correct form prior to trying an exercise. POPSUGAR Fitness is a great resource when learning proper form, like these standing core exercises or fun moves with the pulley machine. Since beginners are most likely to make this mistake on form, Jillian recommends starting with her beginner's program "so you can build solid foundation, get results, and not feel intimidated. You want to take action, but action that is misinformed is going to do a lot of damage." Master your form before moving on to more complicated exercises and heavier weights. Your goal is to stay consistent and injury-free so you can keep working out.